If you’re viewing this page on a mobile device, chances are you already know that the mobile web is quickly becoming an integral part of our day-to-day lives. But did you know that more than 50 percent of pet owners search for veterinary hospitals on their mobile devices? VetNetwork designs and builds fast-loading and effective veterinary hospital mobile websites so you can keep in touch with pet owners 24 hours-a-day. Your mobile website will include a quick-loading homepage with your logo, address, click-to-call phone number, social media links, and an easy navigation bar clearly displayed. We also include select information about your practice, services, veterinarians, emergencies, and more. 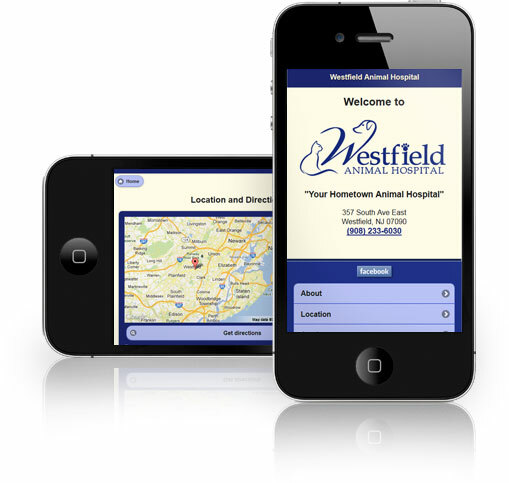 If you want the right mobile website for your veterinary hospital, call us at (800) 564-4215 or contact us online now. We can have your mobile website live in just a few days.